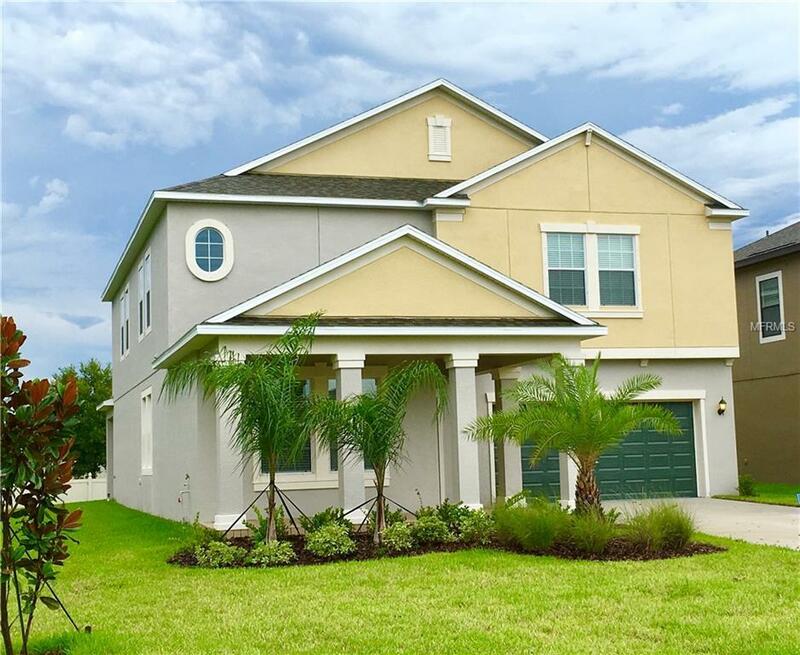 Must see this 5 bedroom, 3 bath home with loft in the desirable Riverview community, is located at the cul-de-sac with over quarter of an acre lot. Pavered front porch and tiled foyer entrance. Family room features an accented stone wall that opens to the updated kitchen with ceramic tile flooring. 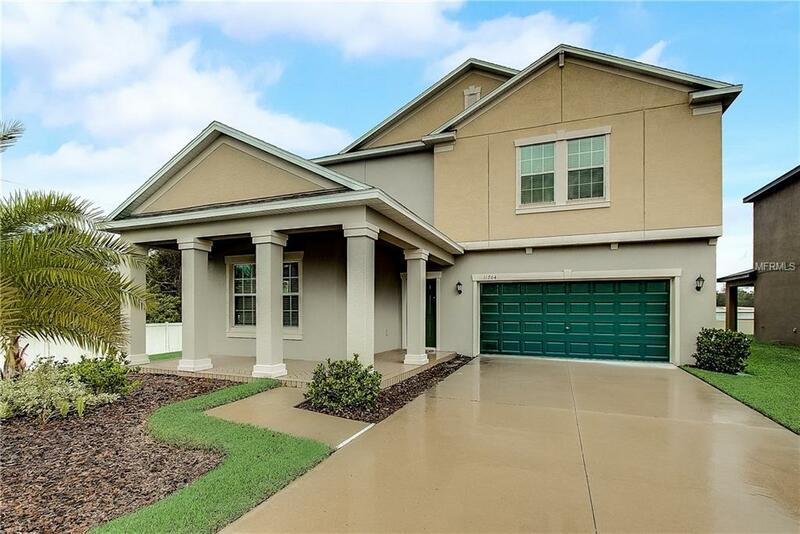 Kitchen has chef pantry, 42 upgraded cabinets with designer pull outs or knobs, crown molding and included spice cabinet, baking pan cabinet, recycling cabinet and pull out drawers, granite countertops, breakfast island bar, pendant lighting and more. One full bedroom downstairs for your guests or office. Separate Dining room. Screened trussed lanai. Master bedroom has 2 separate large walk in closets. 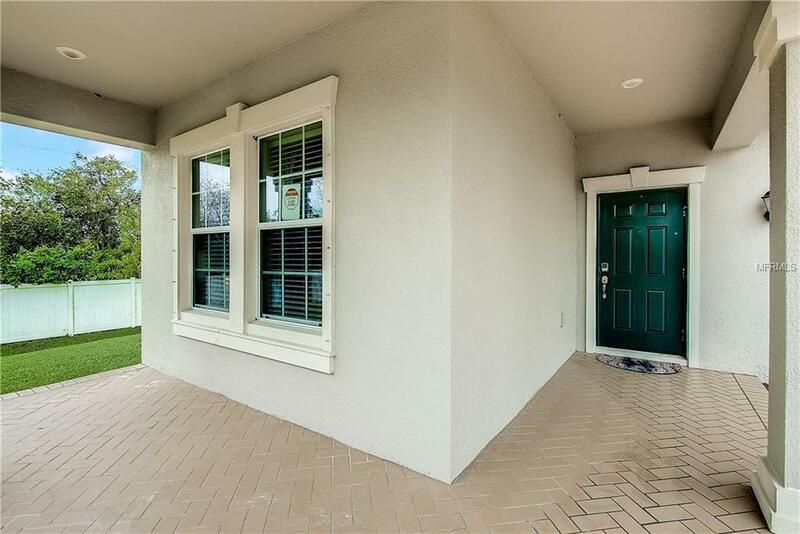 Master bath is featuring 2 separate vanities with granite countertops, upgraded fixtures, and separate shower with corner garden tub, water closet, upgraded wall tile and much more. Split bedroom plan. Other bathrooms have upgraded light fixtures with granite countertop vanities. Upstairs utility room. All the bedrooms also have ceiling fans. Plenty of storage space. 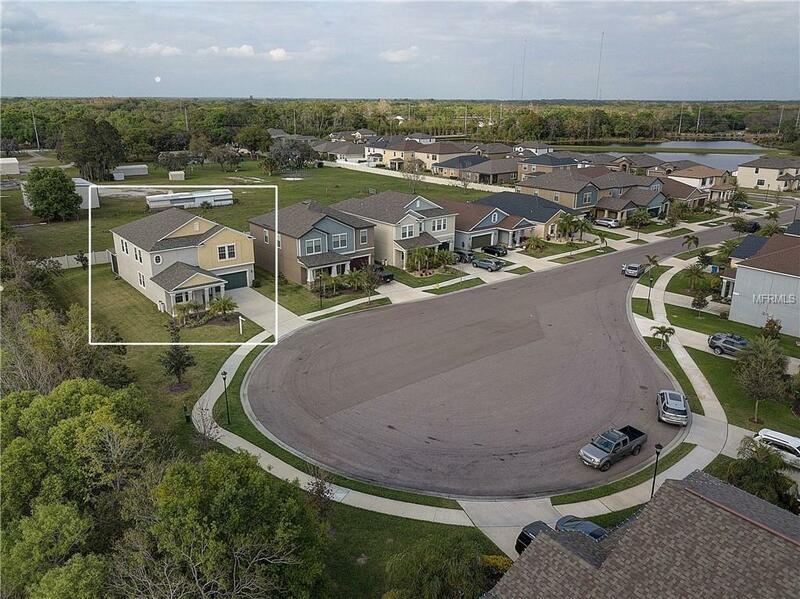 In addition, residents can enjoy a number of neighborhood amenities including a community pool and clubhouse, a scenic nature preserve with ponds, playground, and walking trails. This one will not last long! NO FLOOD INSURANCE REQUIRED.